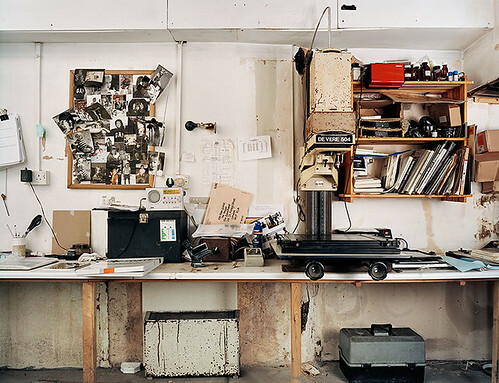 My old friend Haj reminded me to post Richard Nicholson’s darkroom project, “Last One Out, Please Turn Out the Light“, a survey of London area darkrooms. Ironic that we’re having our own Open House for our color darkroom on Saturday, which is (apparently) the only place of its kind in the southeast United States. Know any other artist-owned/artist-run color darkroom spaces? Toronto Image Works has colour machines and darkrooms you can rent. I go there to print B&W.